It's October! Are you guys ready to be H-A-U-N-T-E-D?? FYI, Halloween is around the corner and fortunately I get to attend a real Halloween Party this year! Sound crazy huh?! OMG, I am freaking excited everyday before the party. 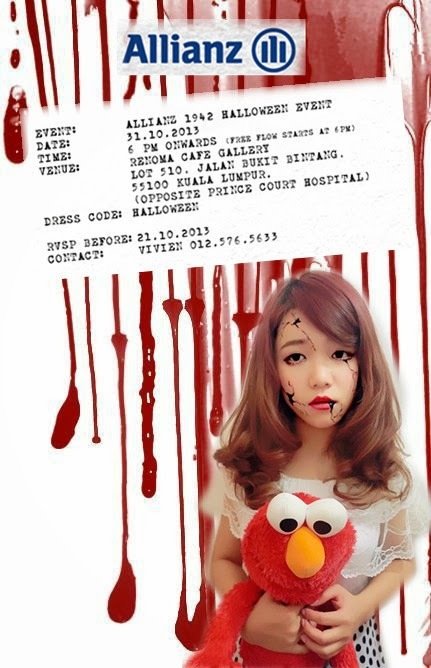 It's kinda sad that not much Halloween Party in Malaysia and few of us really celebrate it. Personally, I've never celebrate Halloween before. I find that Halloween is very interesting, because in western country, all the people used to really dress them self up, playing 'treats or tricks' and simply haunted, everywhere, everyone. Like a vampire, zombies, scary doll, evil clown and more. I dare you to unlock the truth with me at Allianz 1942 Halloween Event! Do come and join me for this scary night. It will be a truly thrilling one. Besides, there's lotsa prizes awaiting you! There are Samsung Galaxy camera, Ipad Mini, Nokia Lumia and much more! For me, I am looking forward to win a travel voucher which worth RM3000! 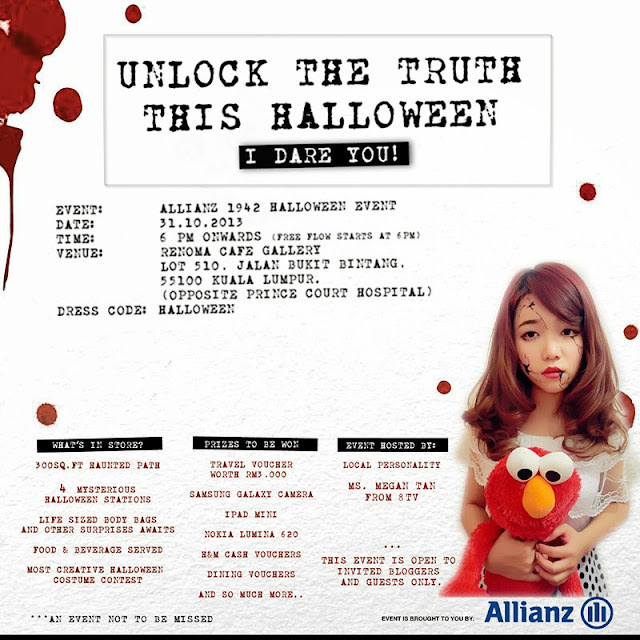 This Halloween Party brought to you by Allianz. For make up, you guys can search some ideas from Youtube as there's lotsa tutorials showing you guys how to create scars, bleeds, scary doll eyes, breakage on faces and more. Personally, I'm those very stingy kind LOL I don't really wanna spend much on my costume. Do brainstorm your mind and reuse clothes that you owned. Mix and Match. It's not compulsory to be the most scariest one, you can be a beautiful costumer instead. Be creative. For costume of Halloween Bride, it's just a simple black dress. Dried roses as hair accessories. 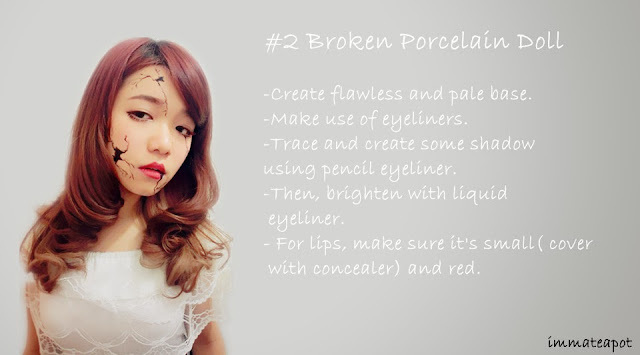 For costume of Broken Porcelain Doll, it will be just a simple white and cute dress is enough. 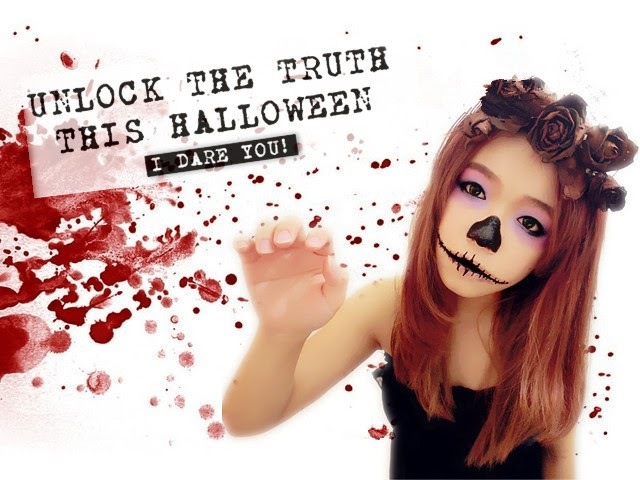 To join this Halloween Party, please do leave me a blog comment on 'Why you wanna join this Halloween Party' and with your email address! Limited spaces are available! The most creative comment will be picked as winner. Hmm, actually I didn't manage to post this up, but then just wanna share. It's a Scary Doll look. It's my first try on Halloween Makeup. I loveeeee the porcelain doll! I thought you photoshop! hahaha :P srsly, your makeup skills damn Geng! uwaa! so scary ah!! >.< so geng one ur makeup. 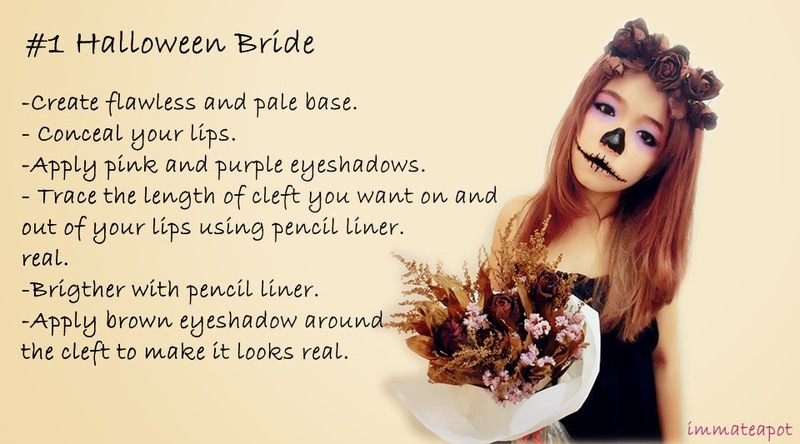 I like the Halloween Bride look!